Atlas Copco is a world-leading provider of sustainable productivity solutions. 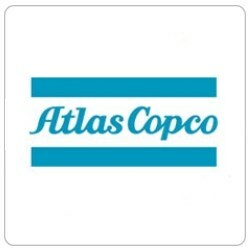 Atlas Copco is characterized by focused businesses, a global presence with direct sales and service, a strong, stable and growing service business, professional people, and an assetlight and flexible manufacturing setup. We are committed to sustainable productivity, which means that we do everything we can to create lasting results with responsible use of resources – human, natural and capital. The Group serves customers with innovative compressors, vacuum solutions and air treatment systems, construction and mining equipment, power tools and assembly solutions. 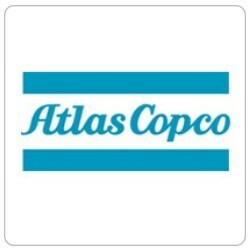 Atlas Copco develops products and service focused on productivity, energy efficiency, safety and ergonomics. Atlas Copco’s success is closely related to being a good employer, attracting and developing qualified and motivated people. With a global business conducted through numerous companies, we work with continuous competence development, knowledge sharing and implementing our core values. All employees are expected to contribute by committing themselves to Group goals and to their individual performance targets. Atlas Copco’s definition of good leadership is the ability to create lasting results. Innovative, sustainable products and services We deliver cutting-edge technology in the form of safe, reliable and energy-efficient products, designed to optimize our customers’ produc tivity and competitive advantage. The Group’s high quality service offerings ensure that our customers get the most out of every investment, keeping us First in Mind–First in Choice®. Atlas Copco’s business model is agile because of strategic partnerships with for example suppliers, sub-contractors and joint venture partners. Therefore, nurturing long-term relationships with business partners is mutually beneficial, securing the Group’s competitive edge and development potential in a responsible and sustainable way. With a global reach, Atlas Copco has an influence on the economic and social development of the countries in which we operate. We strive to exercise that influence in a positive way and to be a good and reliable corporate citizen creating shared value. A key priority is to live by the highest ethical standards and ensure that these are applied by employees, management and business partners. This is why we put significant weight on communicating and monitoring adherence to our values. We strive to reduce our environmental footprint across the value chain and deliver energyefficient products designed with a life cycle approach. Ensuring that resources are used in the most responsible and efficient way in our production and by our products is key for us, and Group common goals have been established to track progress.